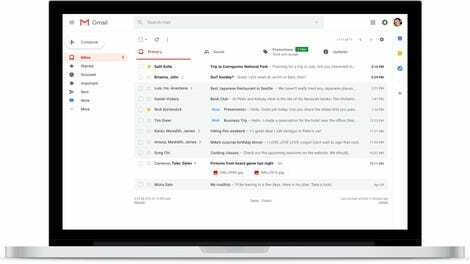 There are two distinct types of people on workplace communication platforms: the ones who painstakingly toil over every typed letter in a show of ultimate professionalism, and the ones who type with abandon—who slam keys haphazardly with their clumsy sausage fingers to get across whatever they’re trying to communicate before moving on, punctuation and grammar be damned. I have not come here to argue about which of these communication methods is better. 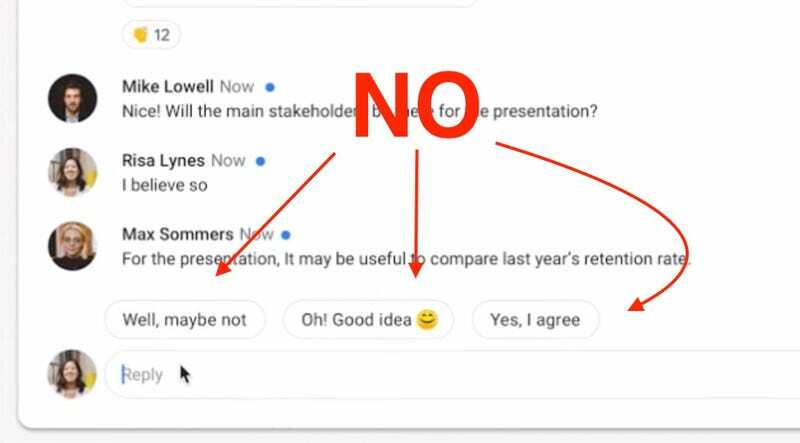 But please, do not subject your colleagues to the banality of Smart Reply in Hangouts Chat. 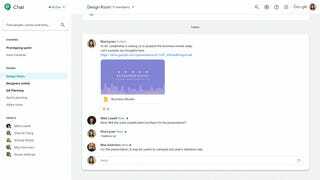 Google this week announced that it would soon introduce Smart Reply to Hangouts Chat—not to be confused with Hangouts, though you’d be excused for any confusion—a feature that like smart replies in Gmail is being billed as a way to streamline your workflow. 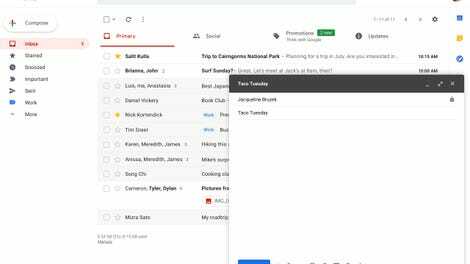 As with Gmail, Smart Reply for Hangouts Chat will also offer three (presumably bad) responses to the requests or insights of the living, breathing human beings on the other side of your screen. Listen, on some level I understand why this feature might be appealing. It is true that everything is exhausting all of the time and has been that way for what feels like an eternity. Anyone aspiring to do the absolute bare minimum at all times, with the exception of maybe operating heavy machinery, would be forgiven. But reader, no one wants to fire up the ol’ workplace communication channel only to be greeted by a feed of emotionless robot speak. We are already expected to slog through this kind of formulaic jargon in our inboxes. We shouldn’t have to tolerate it in our digital water cooler spaces. As we are all essentially just selling our time ahead of our assured demise, let our workplace chat rooms remain a source of joy, however small.